Are you looking for quality appliance repair in Portland OR? We fix washers, it’s what we do. We have worked on nearly every brand of washing machine in existence. We have access to washer parts in Portland OR for both newer and older machines. We even keep some common washer parts on hand to help serve you quicker. Our washer repair service is the most dependable in the entire Portland OR area; we don’t stop till we get the job done. We are an appliance repair company with numerous licensed technicians that have worked on washing machines for many years. We are the leading Portland washer repair company and for good reason. There is no job too tough for us. We have fixed washing machines that leak, don’t spin or complete all cycles, and we have fixed machines that don’t work at all as well. Whatever the problem is that you are having, we will find it and we will take care of it. If you require a washer repair in Portland OR then give us a call. We will rush to your home in the Portland OR area and diagnose the problem, then give you an estimate for the washer repair. You can decide if getting your machine up and running again is worth the cost of the needed washer parts (if any) and labor is worth it. If this is your first repair, we will treat you to a $10 discount AND knock off the service call fee. We know we are not the only company offering washer repair in Portland OR, but we stand by our successes. If there is a washer that is broken, our employees can fix it – after all, it’s what they do for a living. You should not blindly set or ignore the spin speed setting on your washing machine. Make sure to always adjust it based on the specifics of the load. It’s true that clothes can come out of the washer drier by using a faster spin cycle. However, this also puts excessive stress on the internal components of your washing machine. 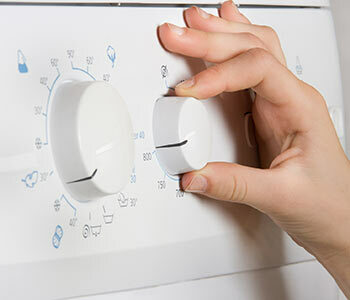 As a result, your washer may not live for as long as it could have if you are overusing the fast spin setting. So, adjust according to your needs and only set it to fast spin when it’s absolutely necessary.